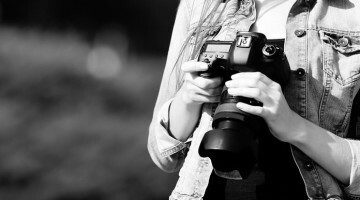 According to a recent report, as many as 2.5 billion online photos get stolen every day. A new strategic partnership between Flickr and Pixsy aims to reduce this number. Or at least, to help you protect your work and take legal action. The two companies are about to make it easier for photographers to track their images, and if necessary, to take legal action in an effort to preserve the integrity and value of their work. Since Flickr got acquired by SmugMug, there have been some significant changes on the platform. One of them is the 1000-image limit for Free accounts, with all the excess photos being deleted. However, Flickr has announced that all Creative Commons images will be protected from the deletion, as well as “In Memoriam” accounts dedicated to deceased members. Back in November 2018, Flickr announced that it was going to ditch the mandatory Yahoo login system. And now it’s finally happening. Over the next few weeks, all Flickr users will become able to log into their profiles even without the Yahoo account. Yesterday Flickr made their first big restructuring announcement since recently being purchased by SmugMug. Beginning next year on January 8th, Flickr will limit free accounts to 1,000 photos. The previously offered free 1 terabyte of storage goes away. At the same time Flickr is returning their paid pro account to unlimited storage which had been their original offer before capping new Pro accounts at 1 terabyte back in 2013. If you were Pro before 2013 you were considered “old school” Pro and kept your unlimited storage, but new accounts were limited. Now all Pro accounts are back to being unlimited. Since Flickr was acquired by SmugMug, I have been wondering what changes this will bring to the not-so-popular-anymore platform. And now the big changes are finally coming. First of all, you soon won’t need a Yahoo! account to sign in to Flickr. But the changes are also coming to the Pro and Free accounts, limiting the free ones to 1,000 images. Here is something we did not see coming. SmugMug, a photo management company, just bought Flickr, one of the foundation pillars of online photo sharing. The purchase amount remains unknown, as well as the other terms of the deal. If you are a user of either of those services, Smugmug tells DIYP that each site will keep its entity and separate operations. If I had to guess though, I think we will see at least some integration in the future, such as direct import and export and maybe some level or portfolio display utilizing Flickr photos via the SmugMug display system. For the past couple of months, there’s been a thought in the back of my head: “I should leave Flickr and move somewhere else.” The platform is changing and not in the direction I like. I have, then, become more active on the other photo sharing websites I use and I created accounts on a couple of new ones to try them out. I’m exploring my options. The result: I still have and actively use the Flickr account I’ve had since 2009.